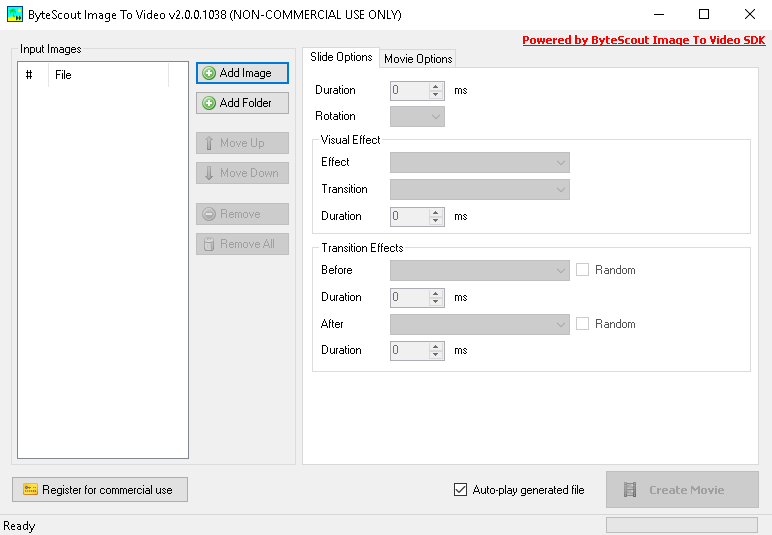 Image to Video GUI (FREE for non-commercial usage) is a great tool that works with images and has multiple features (see below). makes slide duration possible, enables in and out, and transition effects duration. You can download a free program HERE. 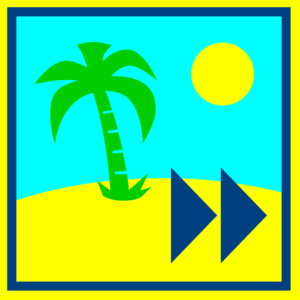 Image to Video freeware is designed for personal use only. If you’d like to use it for commercial purposes, you may purchase our Business license for Image to Video GUI. If you need a professional multi-functional Image to Video SDK with more features, you can get it at ByteScout. Learn how to read images to video conversion progress in GUI (WinForms).